Marketing will always find ways to hype up their product that's true, but I do think people care about the records, having the "big three" records would make the giga a huge draw worldwide. If Kings Island comes out with just a standard giga coaster, just to say theres one at ki, then those people not in the Kings Island area won't circle Kings Island as a "must see" kinda trip. So to us that have passes and such it may not mean as much, but it would mean a lot to the guy in California that was considering not going to Kings Island that year cause its "out of the way" or something. And besides KI is our home track we should want it to have the best of the best lol, lets just have some fun y'all and not be uptight. With the amount of land and resources Kings Island will have for a giga coaster... it will break at least one world record, a lot of reddit enthusiasts think the coaster could have a 400ft drop! Theming is all fine and dandy, but at the end of the day a terrain coaster has more theming by default than a parking lot coaster like Fury 325 so I say spend the money on getting us a record breaking coaster. PSA for those of you like myself who are out of the market for WHIO Radio, you can get the station on iheartradio. I don't know about a madhouse dark ride, but I remember a couple years ago when everyone thought we would get a Triotech ride, I could still see that coming. Personally I think it will beat Fury in most stats, with the use of the terrain and all the resources the park has, when we get the giga it should be the best one in the world. Just for reference, Fury stats: Height- 325ft Drop-320ft Length-6,602ft Speed-95mph Ours should have a bigger drop, be longer, and have a higher max speed than Fury, given the terrain and money that Kings Island has probably saved for this ride. I mean....what did she expect? "Welcome to haunt! Where thrills and magic collide!" I think he got on wikipedia and skimmed through the page for his "facts"
Are environmental regulations really that hard and costly to follow? 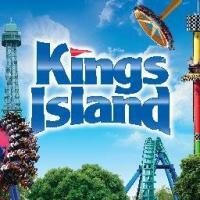 If Kings Island is $500! Who knows what Cedar Point's Fast Lane Plus is gonna be.